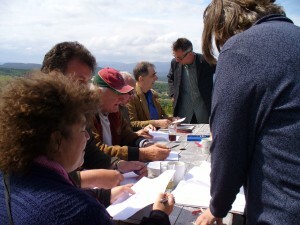 Something for every writer at Moniack Mhor – that is our aim. We suggest you think about what you want from a course, then use the advice below to find the best possible course for you. TIME: Our courses run from Monday to Saturday, providing time to fully ensconce yourself in your writing and the tutors’ guidance. If you have less time, we have a short course in spring and several day events. GENRE: Our courses cover many genres and choosing a genre that you work in can be a good idea. However, if the course that works for your free time doesn’t fit your chosen genre, think around it. We’ve had fiction writers who come on crime courses to get help with plot structure and established novelists attending poetry courses to develop use of language. EXPERIENCE: Most of our courses are suitable for writers with different levels of experience, tutors are adaptable and will work around the group. If you are new to writing, or indeed coming back to it after a time, then our STARTING OUT courses will help get you going. If you are already well on your way with a manuscript, TUTORED RETREATS are designed to give you maximum writing time, with one-to-one tutorial sessions. UNTUTORED RETREATS are the opportunity to come to Moniack Mhor for an intensive spell of writing with no tuition. TUTORS: We programme some of the finest writers in the world to lead courses. 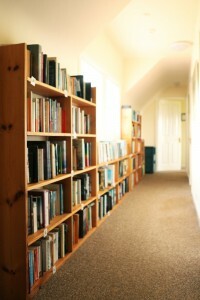 They are tutors who understand the needs of writers and are generous with their time and experience. We recommend choosing a course with a tutor whose work you admire, and if you are having difficulty choosing, read some of the tutors’ work to help you decide. TUTORED COURSES normally have two tutors, who will take turns in running the morning writing workshop. You will also get a one-on-one session with each tutor, where you will get the chance to talk about your work. For these courses, we usually ask that you pre-submit a piece of your work for the tutors to read beforehand. On Wednesday evening there’s the guest reader, who will read from some of their work, and be there to chat and answer questions afterwards. There is also a chance to buy some of the tutors and guests books and get them signed. SHORT COURSES run very much like tutored courses, with workshops, one-on-one sessions and pre-submissions, but there is no guest reader. TUTORED RETREATS are retreats with tutors, but they differ from tutored courses in that they will not have workshops. You will still have one-on-one sessions with the tutors, and there is a guest reader on Wednesday evening. WRITING RETREATS are just you and your writing. No tutors, no workshops and no guests. So if you have something you’re working on and need to knuckle down with no interruptions, this is ideal. DAY WORKSHOPS are one day courses where a tutor will take you through a number of workshops and exercises, designed to hone your writing skills. If you need a little more inspiration, why not have a read of the alumni page? You can read about those who have gone on to find success following a course at Moniack Mhor. Read the 2019 brochure online.